“Twenty-four EU countries pledged to band together to form a “European approach” to artificial intelligence in a bid to compete with American and Asian tech giants. Ministers signed a declaration on Tuesday (10 April) saying they will consider putting public research funding into AI, but did not promise a specific amount of dedicated new investments. All EU member states except for Cyprus, Romania, Croatia and Greece vowed to “modernise national policies” as part of an effort to develop large-scale AI research. One Commission official said the four EU countries that did not sign were not opposed to the initiative but might still need formal approval before signing. Norway also signed the declaration. European politicians are scrambling to amp up their work on AI by earmarking public funds and nudging companies to invest in technologies like robotics and medical applications that process huge amounts of data. The EU’s investment in AI lags behind the US and China, and the bloc’s new initiative could still be hampered by competition between member states, or by their differing positions on regulation. 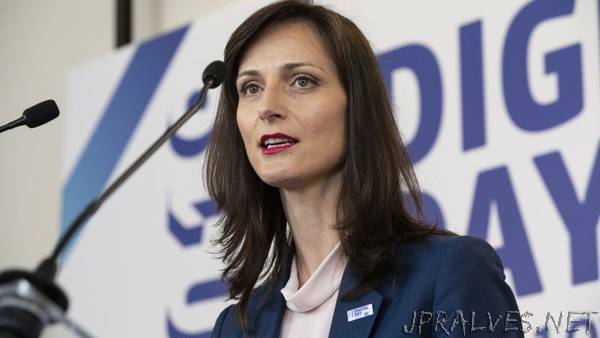 EU Digital Commissioner Mariya Gabriel will publish a strategy paper on AI on 25 April that she said will outline legal issues that the technology is likely to create, and also address fears about robots replacing jobs. She will not propose binding legislation focused on AI this month, but has not ruled out regulating the technology at a later point. National governments have made a rush of recent announcements relating to AI. French President Emmanuel Macron was the latest leader to focus on the technology when he revealed a plan last month in pump a total of €1.5 billion in public funding into AI research over the next four years. Macron has also met recently with big tech executives to lure jobs and private investment to France. Facebook already runs an AI research lab in Paris. In its coalition agreement from February, Germany’s new government committed to setting up its own research unit and a joint AI centre with France. Gabriel called for EU countries to work more together to compete with bigger competitors in the United States and Asia. “Member states have a level of excellence in some sectors but they cannot be globally leading in an isolated way if they’re alone. The EU can be a driving force,” she told reporters on the sidelines of a Brussels conference focused on investment in technology and AI on Tuesday. Gabriel said that competition between member states to attract multinational companies would not threaten the EU’s effort to coordinate national policies and research on AI. “If there are any disagreements, I believe this is something that can be valuable for the EU,” she said. In addition to considering changes to national laws and new investment funds in AI, the ministers committed to starting up pan-European research centres. They also agreed that humans should “remain at the centre of the development, deployment and decision-making of AI” and vowed to “prevent the harmful creation and use of AI applications”. Ministers who signed the declaration said they want the EU as a whole to compete with the US and China on developing new AI technologies. Speaking on a panel discussion with other countries’ ministers at the same conference, Mounir Mahjoubi, France’s secretary of state for digital affairs, said that his country’s €1.5 billion investment pledge is not only in France’s interests. “France wants Europe to be the leader on AI,” Mahjoubi said. Several ministers emphasised that the EU should agree on ethical standards on AI that could give European companies an advantage over competitors. “We can’t expect China to do that. We have to do that. With a democracy and a legal system that works, Europe has to take that as the most important thing. The competition with China, the competition with the US, is of course important. But if we don’t create the legal and ethical framework, we will lose anyway,” said Peter Eriksson, Sweden’s minister for digital development. In a separate paper that Hungary, Slovakia, Poland and the Czech Republic circulated on Tuesday, the countries called for EU-level tests of new technologies before any new regulation is proposed. “Even though the emergence of new legislation is inevitable, we must ensure it is drafted wisely,” one central European diplomat said. The four countries also signed the declaration backed by other member states. Their paper is open to other countries who want to back the document. “Some member states have their own agenda,” said Georgios Petropoulos, a research fellow at the Bruegel think tank. He pointed to Germany’s announcement that it will start a national research initiative on AI and a new centre with France as an example of the country’s emphasis on national interests. Petropoulos called the declaration between 24 EU member states “very important” because it reflects ministers’ understanding that joint investment programmes and an EU-wide approach to any future regulation will help the bloc compete with other regions. “The scale of investments, the scale of developments, is something that goes beyond the possibilities that one member state alone has,” he said.